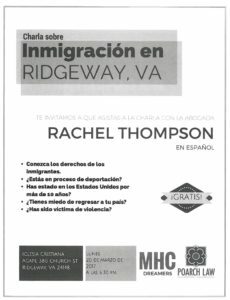 Attorney Rachel Thompson will be speaking to the Immigration Law class at Liberty University School of Law this afternoon, November 28, 2016, in Lynchburg. She will be discussing the variety of legal remedies available to immigrants. DePaul Community Resources recognized Poarch Law attorney Rachel Thompson today as the recipient of the 2016 Allison Parker Young Professional Award. A great social change organization honoring a gal who is a remarkable embodiment of DePaul’s mission and values. We invite you to read the July edition of Somos Virginia Magazine, where you can read the article What did the Supreme Court decide about DAPA and DACA? 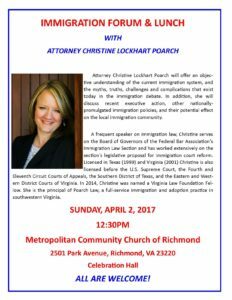 written by Attorney Christine Poarch. 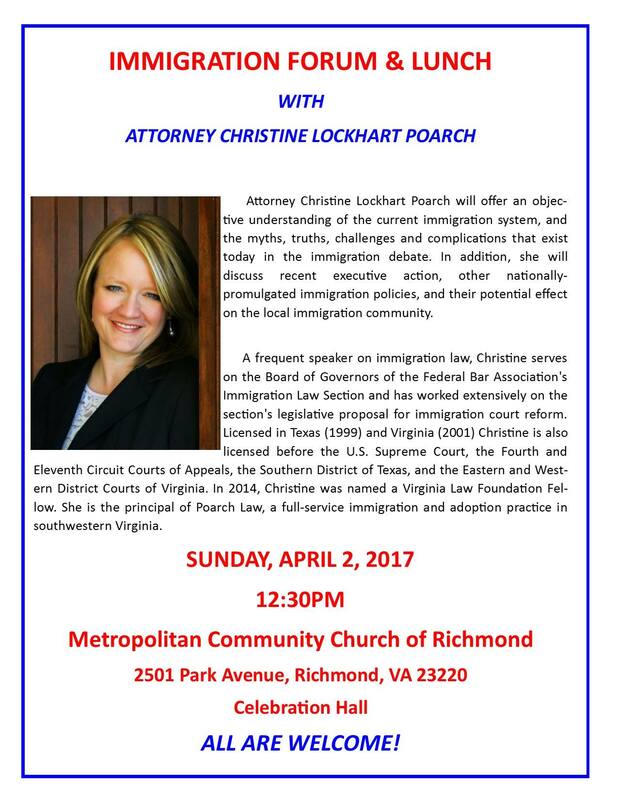 We invite you to read the June edition of Somos Virginia Magazine, where you can read an article written by Attorney Christine Poarch about Special Juvenile Immigrant Status. Attorneys Christine Lockhart Poarch and Rachel Thompson will be in New Orleans this week speaking at the Federal Bar Association Immigration Law Section‘s national conference.